Are you worried because your baby only sleeps when held? Don’t worry there are ways to solve this! Most newborns only sleep when held, but if your baby cries hysterically when laid down, then this may become difficult for you to resolve, so the habit continues beyond the newborn age. But don’t fret, I will go over some sure fire ways to get your baby into his/her bassinet or crib. 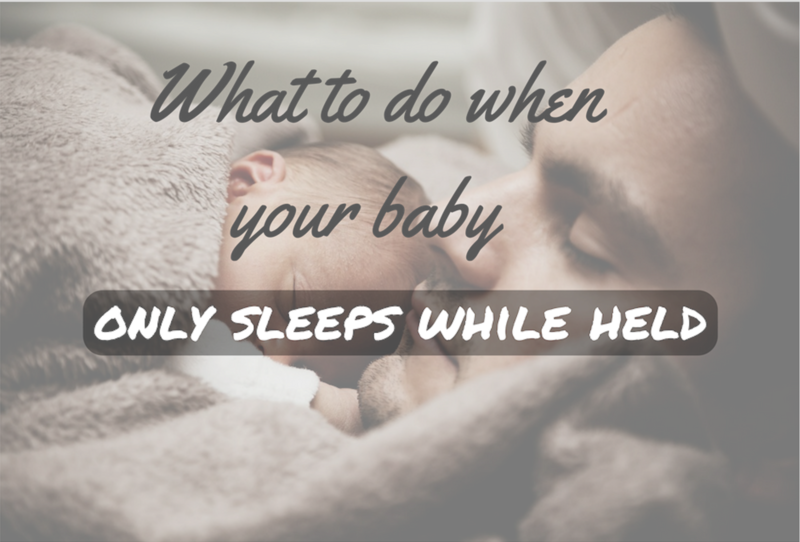 Letting your baby fall asleep on you, then transferring him/her into the crib usually results in some major crying either upon transfer or after a sleep cycle when your baby realizes he/she is no longer in your arms. This can be compared to you falling asleep in your warm and cozy bed, but waking up in your backyard. This would startle and frighten you and would make it very difficult to get back to sleep. This is exactly what you are doing when you let your baby fall asleep in your arms, then place her in her bed after she is asleep. Your baby will wake up alarmed, afraid, and confused. So don’t trick your baby. Lay her down awake, so she is aware of her surroundings. Teaching a baby to fall asleep on their own is one of my specialties. Take a look at how I help other parents just like yourself struggling with this. If your baby only sleeps when held, and he/she is not yet rolling over, then a swaddle should really help. There are many different swaddles on the market. As long those little hands are kept inside and not flailing around, the swaddle is doing it’s job. So don’t get too fancy. Just pick a practical and proper fitting swaddle. Sometimes all a baby needs is some good distraction. Look into getting a good sound machine, with some audible white noise. Running a fan may not be enough. Babies like womb sounds, heart beat, vacuum sound, or running water. Many baby sound apps or machines have these sounds included. If your baby only sleeps when held, she may accept being laid down if the white noise distracts her. This includes an age appropriate sleep schedule, good and consistent bedtime routine, proper sleep environment that promotes restful sleep, and slowly teaching your baby to fall asleep on his/her own. A baby that is overtired from an inappropriate sleep schedule, or is having a hard time sleeping because her sleep environment is too stimulating for example, will struggle with being laid down. Working on all areas of your baby’s sleep, will help her accept being laid down while still awake, and will help her sleep outside of your arms. 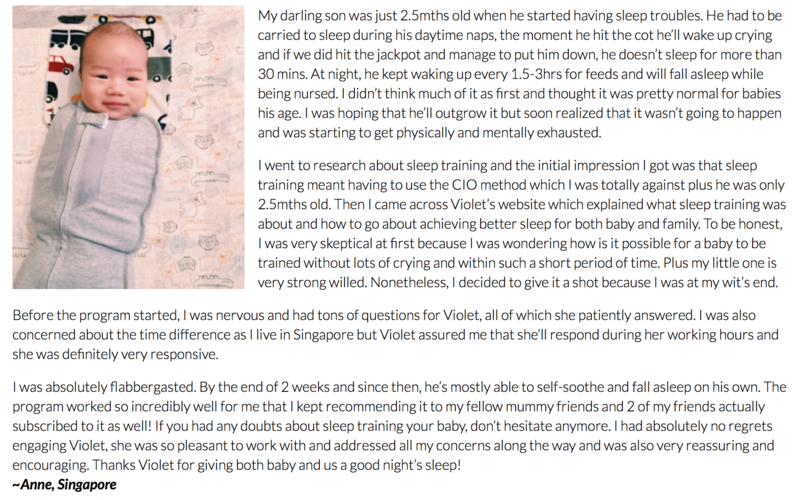 If you need more help, or a step by step sleep plan because your baby only sleeps when held, please take a look at my Consultation Packages Here. Or take a look at what others are saying about how I have helped them on my Testimonials Page.